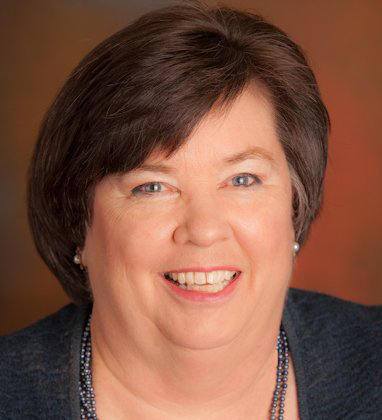 A certified specialist in bankruptcy*, Cathy has practiced law on the San Francisco Peninsula since 1978. She is a graduate of Stanford University and Hastings College of the Law where she was a member of the Hastings Law Journal and elected to the Order of the Coif. Over the course of her career, she has represented trustees, creditors and creditors committees and well as debtors in Chapters 7, 11, and 13. She also serves as an expert witness on bankruptcy matters. Tax and family law questions in the bankruptcy forum hold a special appeal for Cathy. She feels strongly about maintaining the integrity of the bankruptcy system by ferreting out fraud and in keeping debt relief available to the honest debtor. Cathy was the prevailing attorney in the case of In re Sunahara, in which the 9th Circuit Bankruptcy Appeals Panel accepted the rights of Chapter 13 debtors to satisfy a confirmed plan in less than 36 months. Read more of Cathy’s thoughts and stories about bankruptcy in her blog Bankruptcy Soapbox and her latest project: training the next generation of bankruptcy lawyers at BankruptcyMastery.com. Cathy serves as NACBA’s state chair for Northern California and is a frequent speaker at bankruptcy seminars around the country. She was first named a Bankruptcy Super Lawyer in 2007 and every year since. Contact Cathy at ccmoran AT moranlaw.net. Renee brings years of bankruptcy experience to the firm. Renee is fierce about providing superior client service and quality representation to people with complex problems. The planning aspects of bankruptcy and the negotiation of good outcomes for clients make the practice satisfying. She’s also passionate about making the bankruptcy system work well for all players. To that end, she serves on a district wide bench-bar committee for Chapter 13 practice. She is a graduate of the University of San Francisco and McGeorge Law School. Before coming to the Moran Law Group, Renee trained with a former bankruptcy judge in a midsize Bay Area bankruptcy firm on a wide spectrum of cases. Contact Renee at rcmATmoranlaw.net.